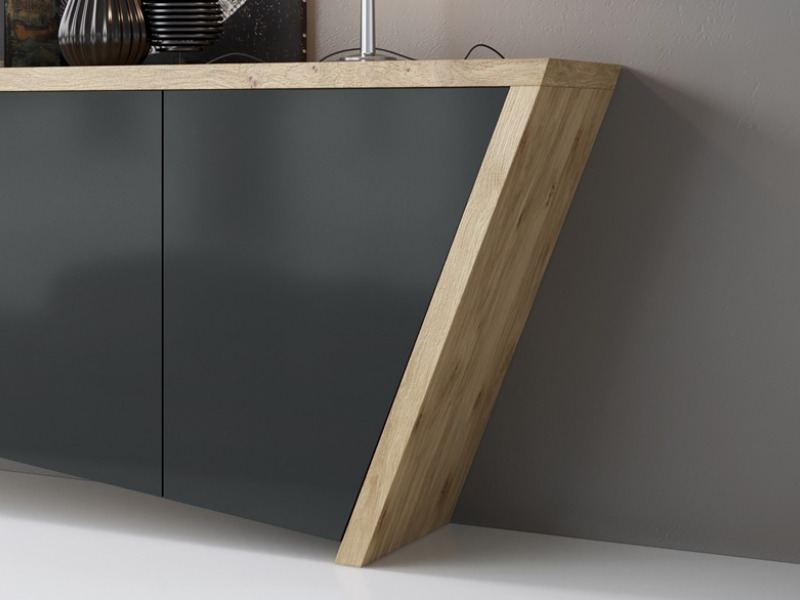 Original design sideboard with angle. 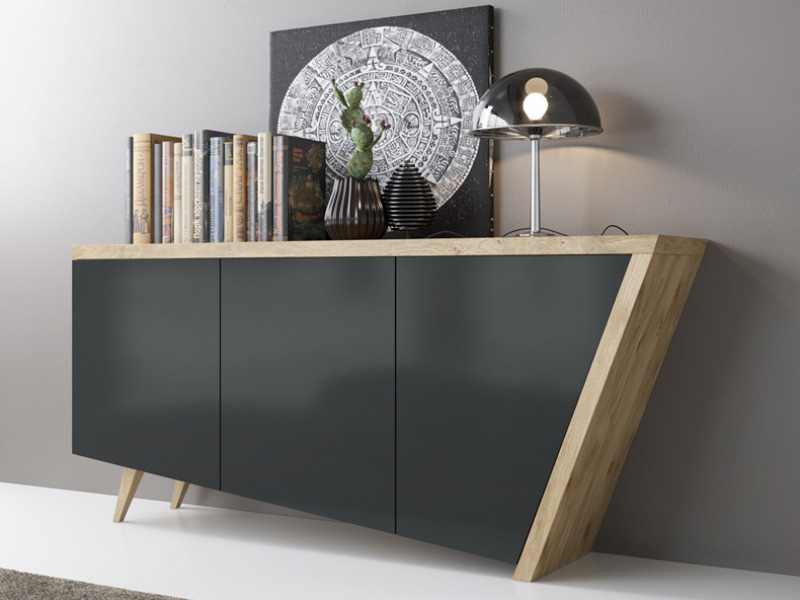 Knotted oak frame with door fronts high gloss charcoal lacquered finish. 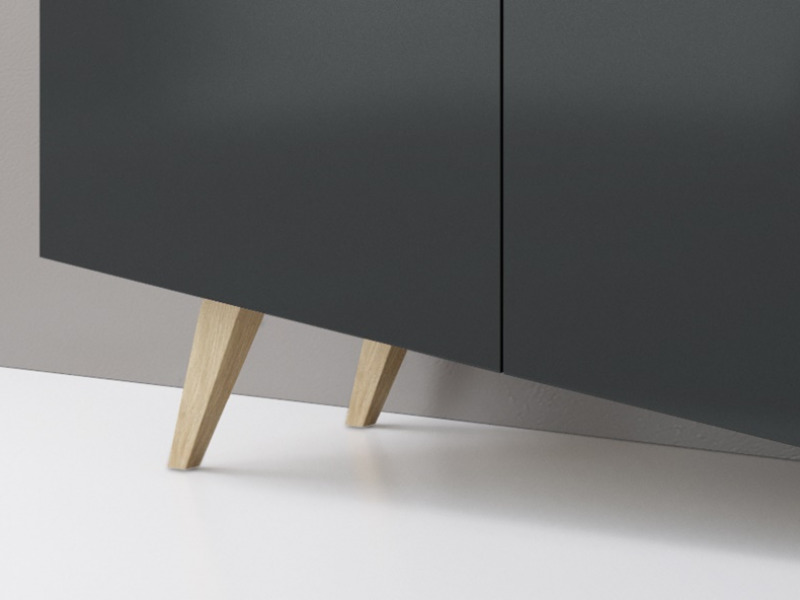 Made of solid beech and oak wood and MDF door fronts. Interior: 3 wooden shelves (one shelf in each compartment). Module option with 3 drawers. See the price supplement in the "INSIDE OPTIONS" section. PUSH opening system for doors. 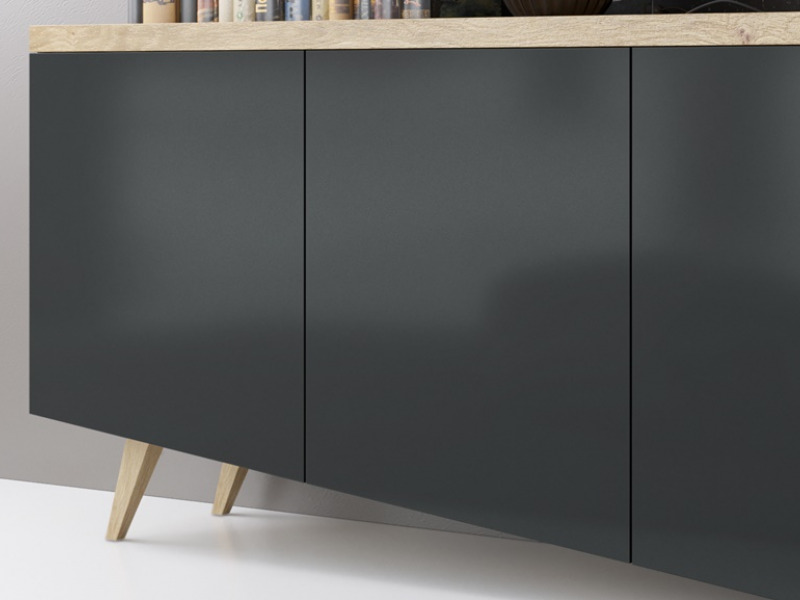 Check out our PDF of finishes where you will find a wide range of lacquered finishes for door fronts and other options for the frame. In the section "finishes" you can see the price supplements depending on the finish chosen.